Today we're excited to share a project from Amy Anderson's (author of Mod Podge Rocks and Washi Tape Crafts) new book, Washi Tape Crafts, 110 Ways to Decorate Just About Anything published by Workman. 1. Measure a 2' x 3' rectangle on the floor. Use the pencil to mark the corners. 2. Grab an entire roll of washi tape (a lighter or white shade is best) and start unrolling it, from one corner to the next adjacent corner, creating one side of the rectangle. Press it to the floor. 3. Continue around the rectangle, laying down the remaining three sides. Overlap the tape where the strips intersect. 4. 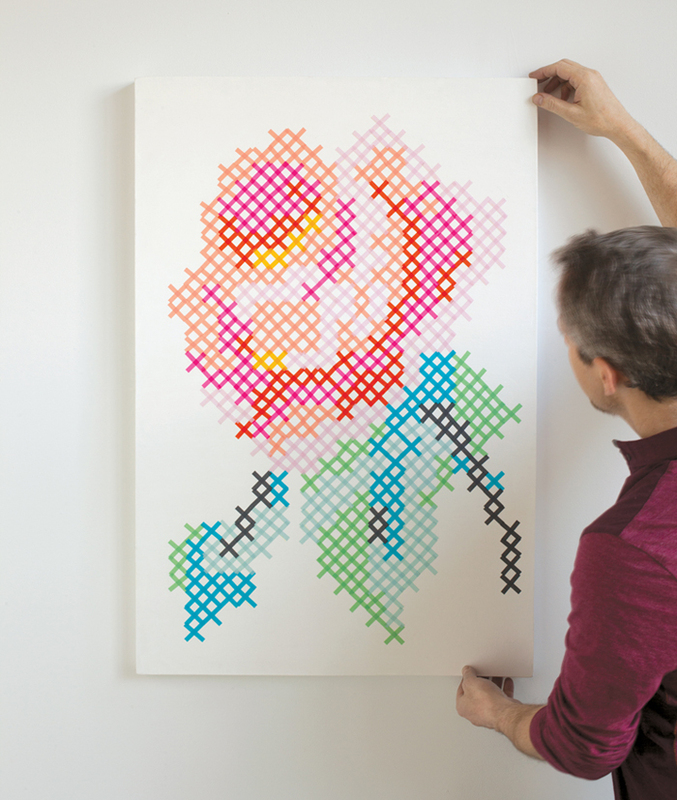 Once the rectangular frame is in place, use the remaining rolls of washi tape to create a pattern over the framework that was laid in Steps 2 and 3. For a basic striped pattern, alternate adding a strip of washi tape at each 2' end of the rectangle, moving toward the center. Optional : Mark additional shapes or patterns, like diamonds, zigzags, chevrons, a geometric pattern, or a more free-form design, over the stripes. 5. 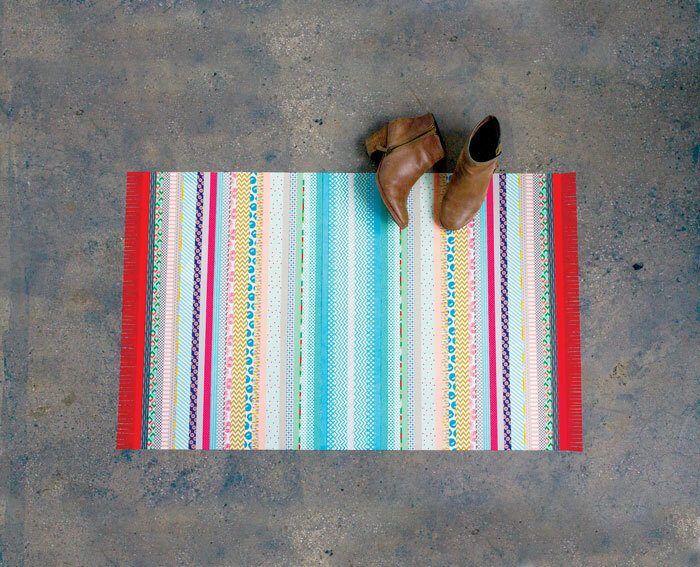 To create flat fringe, press a 2" wide strip along each of the 2' ends of the rug. Use the craft knife to cut out slivers of tape 1" to 1-1/2" into the edge. Note: Cutting right on the floor is easiest on a cement floor. For wood floors, or other softer surfaces, press the piece of tape onto wax paper and cut the fringe on a cutting mat before peeling back the wax paper and transferring the fringed tape to the floor. 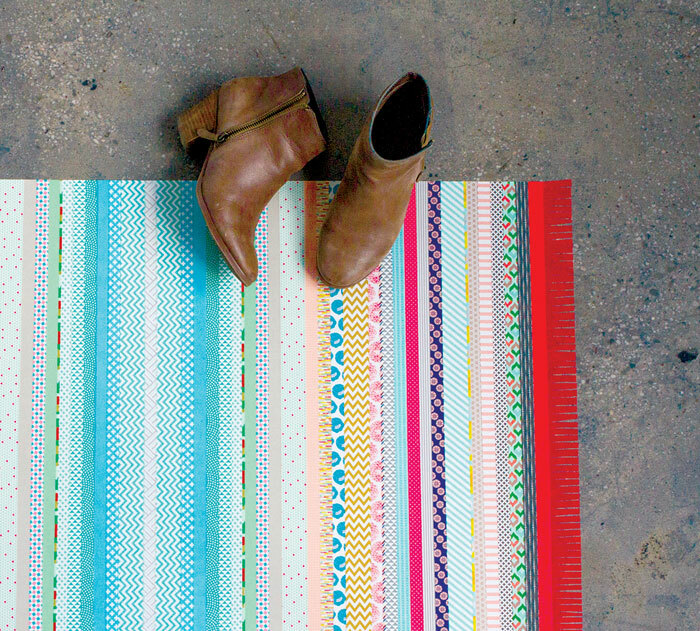 Optional: Depending on the foot traffic you expect your faux floor rug to sustain, you may choose to coat the surface with decoupage medium to slow regular wear and tear. 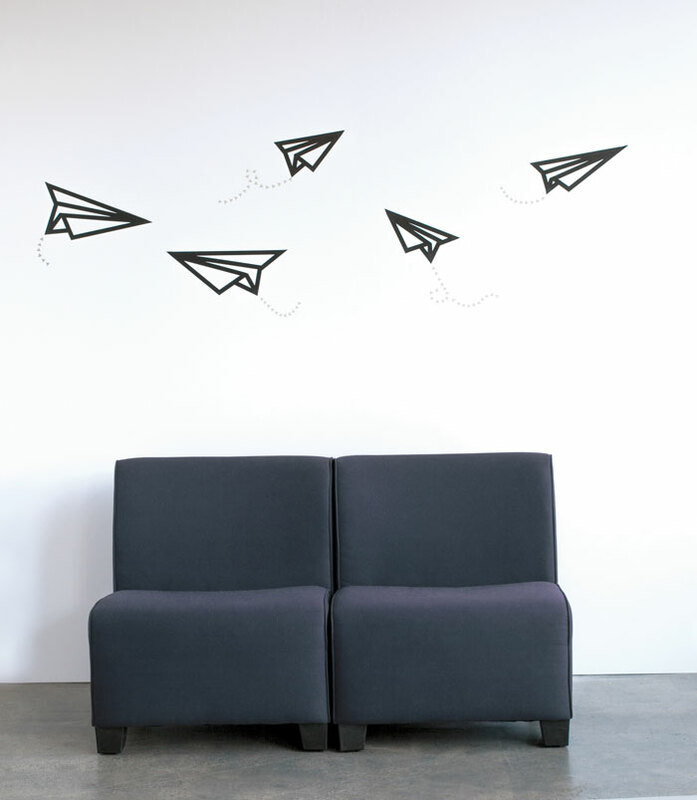 Note: This project is best done on a concrete floor or other uncoated surface, since washi tape doesn't stick very well to vinyl or laminate without a sealant. Here's a sneak peek of a few other projects from the book. The book includes techniques: precision tearing, wrapping, and weaving. How to make bows, rosettes, and other shapes. How to seal and weatherproof designs to make them permanent. And 110 projects, with color photographs and step-by-step instructions, from custom photo frames to one-of-a-kind gifts. There's even 10 rolls of specially designed washi tape! 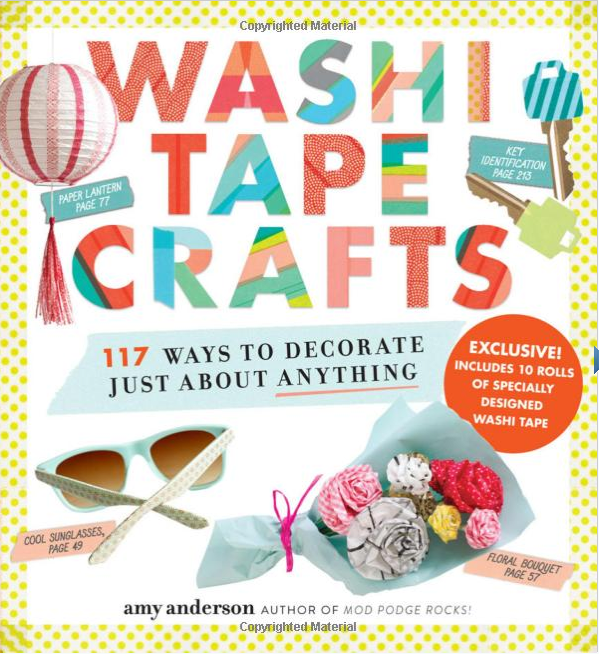 Washi Tape Crafts, 110 Ways to Decorate Just About Anything is available through Amazon. Hi Amy- love the book - so many great ideas! Congrats!